Debates about cultural diversity have become an important, controversial and inescapable feature of the politics of modern democracies. 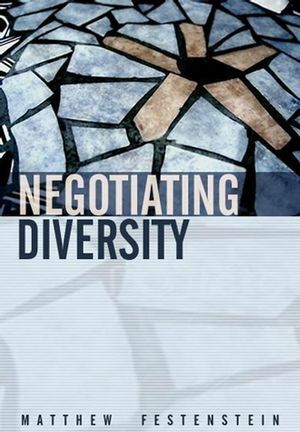 Negotiating Diversity offers a lucid and accessible analysis of the political theory of multiculturalism. It is an ideal text for students looking for an overview of the state of play in this area. The book explores the work of key political philosophers such as Kymlicka, Barry and Kukathas, and draws on a range of real-world examples to illustrate its arguments. It provides a critique of the tendency to reify cultural identity in political thinking, particularly through an examination of contemporary liberalism. In its place, the author develops a deliberative alternative, which views the politics of cultural diversity as a fallible process of negotiation, argument and compromise. He confronts objections that this alternative itself presupposes a homogenous political community, and that it offers an unrealistic or oppressive vision of politics. Matthew Festenstein is Reader in Politics at the University of Sheffield. Chapter 1 - Approaches to Cultural Identification. Chapter 2 - Culture and Normativity. Chapter 3 - The Limits of Liberal Culturalism. Chapter 4 - The Way of the World: Two Forms of Negative Universalism. Chapter 5 - Cultural Accommodation and Political Dialogue. Chapter 6 - Deliberative Trust: Ethos, Identity and Institutions. Upper-level textbook which provides a clear and lucid overview of a growing area of contemporary political philosophy. Discusses the work of the key thinkers in the field from Kymlicka to Barry and Kukathas. Relates abstract concepts frequently used in philosophical debates to real world situations. Argues that the only solution to the reality of cultural diversity in modern states is an ongoing process of deliberative democracy.